Charlotte headed to Minnesota on Wednesday looking to put an end to their two-game losing skid but ran into a red-hot Karl-Anthony Towns late in the fourth quarter on its way to a 121-104 loss to the host Timberwolves. 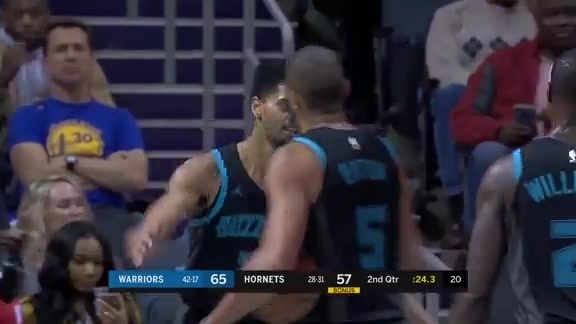 Nic Batum stated at halftime that Hornets Head Coach James Borrego challenged him to be more aggressive on the offensive end prior to the game and he responded, finishing with 18 points, eight assists and seven rebounds. 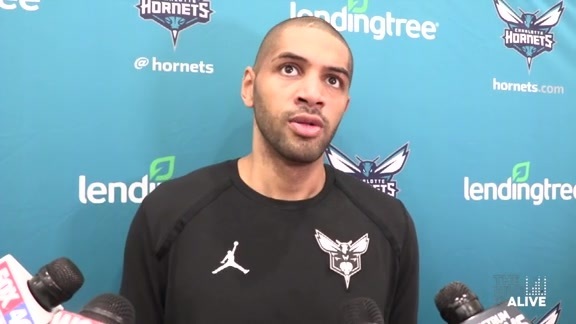 Batum connected on 3-of-6 shots (50.0 percent) from long range and has now tied Steve Smith for 74th on the NBA’s all-time three-point field goals made list. Jeremy Lamb continued his string of impressive play, recording his career-best, 16th-straight double-digit scoring performance with 18 points on 6-of-18 shooting from the field, including 2-of-5 from long range, and 4-of-5 from the charity stripe. Lamb also brought down a season-high 11 rebounds, giving him his second double-double of the season and fifth in his career. With Marvin Williams out with a right shoulder strain, Michael Kidd-Gilchrist received his first start of the season and totaled nine points to go with five rebounds and one steal. Despite these efforts, the game belonged to Towns. 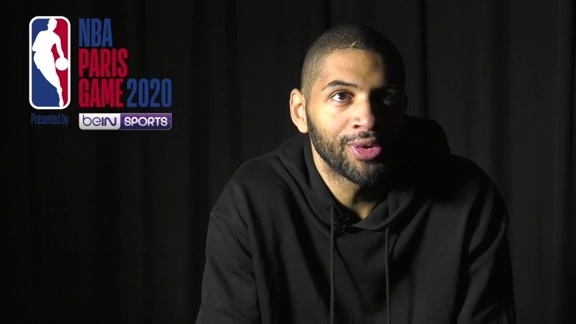 Minnesota’s All-Star big man continued the Hornets run of squaring off against the top centers in the NBA (Rudy Gobert - Utah last Friday, Anthony Davis - New Orleans last Sunday), notching game highs in points (35), rebounds (12) and blocks (six). Towns also played a pivotal role as the Hornets were outscored, 35-18, in the fourth quarter. Charlotte took a 96-93 lead early in the fourth quarter (8:12) but would only make one field goal in the next 5:11 as Towns (11 points) and Robert Covington (eight points) would account for 19 points in a 22-2 Timberwolves run that broke the game open. It was the second run that cost the Hornets at the Target Center. After building a 57-42 lead late in the second quarter, Charlotte seemed to have the home team on its heels heading to the halftime break. Minnesota didn’t break though and outscored the Hornets, 20-7 in the last 4:14 of the quarter to pull within 64-62 after 24 minutes of action. Kemba Walker (15 points) joined Batum and Lamb scoring in double digits in the starting lineup while also making his franchise-best 502nd start, passing Muggsy Bogues (501). Frank Kaminsky, Miles Bridges and Malik Monk all added 10 points apiece off the bench. Charlotte now returns home for a 7 p.m. tip on Friday against the Denver Nuggets.